A warrior with nothing to fight for is paired with a thieving assassin with nothing to lose. Together they must steal a treasure that no one can reach. The Crown Tower is the impregnable remains of the grandest fortress ever built and home to the realm’s most valuable possessions. But it isn't gold or jewels the old wizard is after, and this prize can only be obtained by the combined talents of two remarkable men. Now if Arcadius can just keep Hadrian and Royce from killing each other, they just might succeed. There's doing what's right, and there's doing what's safe. Most of the time you do what's safe because doing different will get you dead for no good reason, but there are times when doing what's safe will kill you too. Only it'll be a different kind of death. They dying will be slow, the sort that eats from the inside until breathing becomes a curse. Understand? Series: Yay or Nay? How Long's Too Long? I like series (even though I'm never sure of the most grammatically correct way of writing it). This probably can be traced back to the days when I first started reading fantasy books and (thanks to a resurgence of Tolkien due to The Lord of the Rings movies) everything was in trilogy format. I started to love trilogies because of that. When I graduated from D&D tie in novels, (though I still have a few favorite authors in that universe that I will read, repeatedly) I still paid more attention to trilogies and series. For me, a perfect length series is somewhere between the three books of a trilogy and six or seven books. Even now, after having read many good stand alone novels, I still tend to gravitate more towards series. Am I the only one? I do hear many complaints about how all the new books are part of a series, do you like this? Are you a fan of series books? Why? Are you like me and prefer to get out before you're staring at several dozen volumes, or do you like those series? After taking a week off from this meme (I really had nothing say for last week's topic) I am ready to go. Seriously, these type of prompts are always the easiest for me - as long as I don't buy the book between the time I type this post up and the time I can let it go live. 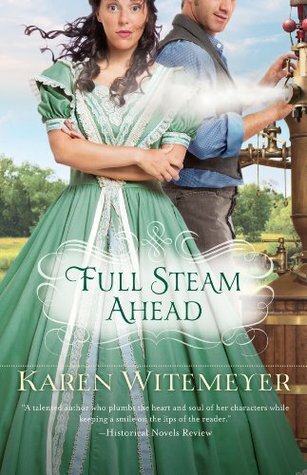 Nicole Renard is on a mission: find the perfect heir and husband before her father dies and his company, Renard Shipping, is overtaken by their business rivals. However, a wrench is thrown into her plans when she finds herself short of funds and takes a job working for Darius Thornton - a man obsessed with boiler explosions after one nearly took his life. Although the mutual attraction is almost immediate, Nicole must continue on to find the heir her father needs because this man is completely unsuitable. But...Does God have other plans for the pair? As you might have noticed, I didn't post a Top Ten Tuesday this week like I usually do. So, I want to talk about memes this week. I actually started up with probably four or five memes a week when I was first doing my blog. I discovered really quickly that would never work for me. 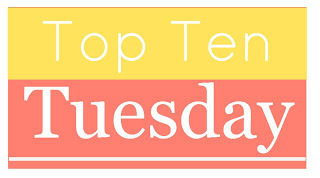 So, I kept my favorite 'Top Ten Tuesday' - which also happens to be one of the most popular. I just didn't have enough to say about their chosen topics to post - even Top Ten Tuesday won't be getting me every week anymore because - like this week's topic of 'ten books people tell you you must read' - I don't have ten books in my life that have been recommended to me. Much less ones I haven't even read. The fact is, I love seeing those page view numbers go way up each time I do a meme - but, too often, all you get out of a meme is a quick comment about your post and a link to another blog. That's great, but the fact is that big meme days are so hectic that you don't spend any time at the blog. You just click comment, leave a quick reply and link. Which starts the whole cycle over. I don't know if you ever get new readers from memes. It would be great if you did, but... I rather doubt it happens often if ever. What I hate about memes - and the list ones are even worse - is when you keep seeing the same one or two books everywhere. It just takes the fun out of it and I'm over there going 'I've only seen this on eight other lists today. Yeah, helpful'. To be fair, I do love it when Top Ten Tuesday has a 'free' week - because everyone has such different and unique topics and I will always participate in those. I'd love to know what you think of memes. Are they something you post religiously? Something you never post? Only post on topics that interest you? Please, do tell me why as well. Mulan is unlike any other girl in China. When the emperor summons a great army, each family must send a male to fight. 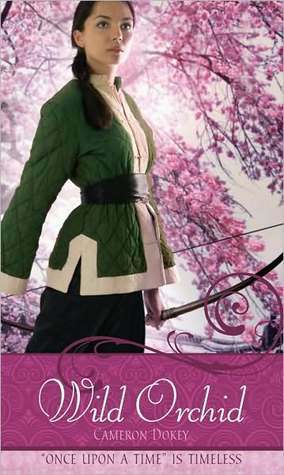 Tomboyish Mulan is determined to spare her aging father and bring her family honor, so she disguises herself and answers the call. "How can one so young, a stranger I've just met, see so clearly the conflicts of my heart?" Indie, Self-Published Or Large Publisher? Honestly, before I found Goodreads, I probably never read an indie or self-published author. It wasn't a conscious choice I made, just that I never found information on them or their books didn't interest me. Besides, back then I was reading a lot of the TSR/Wizards of the Coast stuff, which was a pretty small book publisher anyway. But, the point is, now my favorite fantasy series ever (probably my favorite series, but I have a hard time ranking books through all genres) was originally self published. In the past year, I've read a lot of books that were published by either an indie or self-published. Some of those books were really, really good and some weren't - just like with large publishers. I have noticed though, usually the author's writing stays more consistent with self or indie publishing. Is this because they don't have the level of editor feedback? And, is this really a good thing? Not long ago, I read a self-published book that read like a first novel - only the author had published nearly a dozen others. This tends to not happen with large publishers, and I do feel like self-publishing tends to stunt an authors growth - but I still like how involved most self-published authors are with their readers. Now, I know it doesn't make a difference for me, but does publisher matter to you? Is there any publisher type - or, indeed, publishing company - that you prefer to read/don't want to read? This is a really interesting topic this week. I generally try to stay away from books that leave me confused as to if I should read them or not. So, let's see what I come up with. When safecracker Maggie gets her first solo mission, she had no idea how difficult it would be. All she had to do was enroll in a private high school in New York and get close to a well known media mogul's teenage son. Simple: get the information she needs to stop a personally dangerous news story from ever being leaked and scrub the proof. Instead she makes her first friend and finds herself falling in love with her target! I'm the only spy in the world who has someone telling them to go to bed. This is something I've really been curious about for quite awhile. Is there such a thing as 'sophomore slump' for books? When a new, never published before, author gets a contract for a trilogy or series, is this a good thing? I know that personally, in my own reading, the outcome is surely mixed. I've read new authors books that I love the first in the series, but cannot stand the second. The opposite has happened too, when I read the first book, I almost didn't continue the series, but when I read the second book it is so much better than the first. Other times, the books are very consistent - leaving me with the same feelings of like/dislike after each book. I know what they say in the music industry, about how you have your whole life to write the songs on your first album, but you only have eleven months to write the songs on your second album. I cannot help but wonder, does it work the same for books and authors? Some people work better under a deadline, so are those the authors whose second book turns out better than the first? What about non-series books? Do you think they still follow the same pattern? Is the reason you always hear more rave-reviews for the next books in a series because the people that didn't like the first quite reading - or do they really get better? What kind of experience have you had with the second books from new authors? I'd love you hear your thoughts. After quite a long hiatus, I'm back. I've been really looking forward to this prompt this week and I hope to suggest some good books to you guys. I know it's been a long time - and I wish I had a real reason to give you. The only thing I can say is off-internet life started getting in the way. I also went through a length of time where it honestly felt like I had nothing to say. Even (oh, the horror) about books. Well, I've really missed the book blogging community since my unexpected absence. It's going to take some juggling to fit this blog into my life - as it's a lot more time consuming than I ever expected - but it's something that I really want to do so I'll try my best to make time for it. I am wondering though, how do you make a blog work for you? Is it your primary job? I've actually got a mostly full time job, but that works only to my benefit because I don't actually have internet service at home. Well, I just wanted to welcome myself back and let you know that I shall be doing my best to keep up with this. There will be a few changes from the way I ran my blog before. First, and the biggest is that I have dropped out of two challenges: The Monthly Key Word challenge (as I failed to read/review any book for this in July) and The Lucky No.14 challenge (as this challenge was simply way too structured for me to complete while enjoying it). I have updated my challenges page to reflect this.